Why label Obama Marxist/Communist? | Stop Obama Now!! Branding Obama a “Marxist” or a “Communist” is just not an effective charge. Many on the left side of the political spectrum think that being socialist or even a Marxist is perfectly acceptable and a good thing. For that reason, accusing Obama of being a Marxist, does not impact his base support much, or even that of those more in the middle. Also, it is not clearly documented anywhere that he is a Marxist or Communist. However, the doctrine of his church is black nationalist and is very well-documented in the foundation books on Black Liberation Theology by James H. Cone. 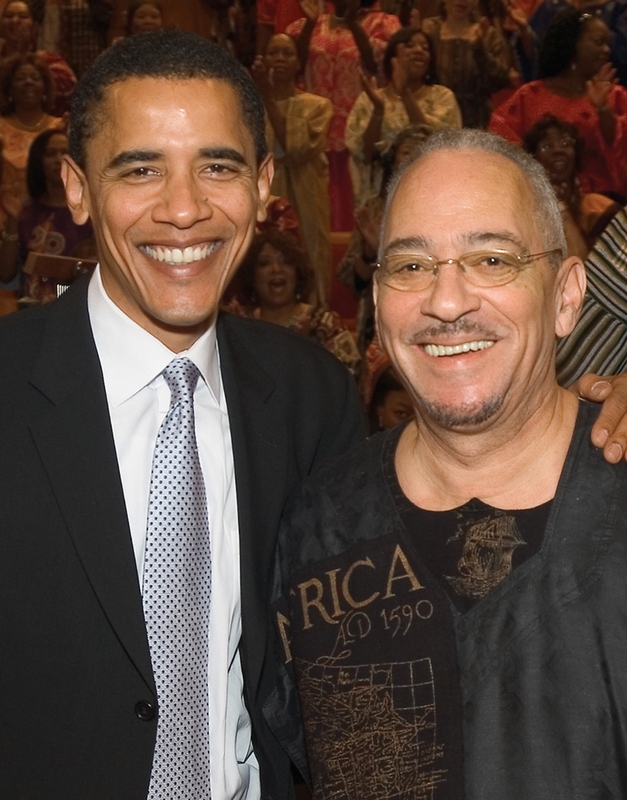 Obama’s self-described spiritual guide, Jeremiah Wright, said in a national television interview that Black Liberation Theology is the doctrine of their “church.” It is fundamentally based on racism and sedition, equating white society to the Antichrist and holding that the black race is the manifestation of God on earth and has a divine mission to destroy America and the white race. It is socialistic in that it calls for wealth redistribution by means of destruction of the current democratic system. Black Nationalists have often worked with communists, because they have a common goals of destruction of the American democratic system and so-called world liberation. Marxism is not the only socialistic ideology and Marxism/communism is not based on racist or on religious belief. Black Liberation Theology is religious belief — though it is definitely not Christianity as most people know it — and it is fundamentally based on racism and hatred of the American system and white society. The truth is that Obama mixes the characteristics of a number of different religious sects and quasi-religious ideologies. To be exclusive about labeling him one thing or the other can be counter-productive, because the argument becomes about whether that one characterization is correct. Name-calling can be effective, but do not be limited to one classification and do not let the argument be limited to one definition about whether he is a communist, a black Nazi, and Islamist an anarchist or whatever, because his radicalism has a lot of different aspects and he will work with a lot of different extremist groups to achieve his goal, the downfall of America as we have known it. Racism and sedition should not be acceptable on either side of the political spectrum in a president and the public ought to demand that he resign, due just to his racist religious background, which has been charged in the conservative media (such as by Sean Hannity), but never fully explained in depth and detail with much accuracy. Obama's spritual guide, J. Wright. Bringing out that his religion is racist breaks a couple of taboos against publicly criticizing a religion, especially that of a black man as being racist. However, it should be done on a large scale to put his supporters on the defensive for a change and make them explain why we should have a president, whose religion has been for 20 years that white society is the “Antichrist” and America the demonic tool of the Antichrist and the root of evil in the world. Conservatives, as well as others with any sense of fairness at all, ought to be outraged by this. We should not be required to read his mind to find out whether he really believes this crackpot, racist doctrine, or not. It is also not about whether he can actually carry out the destruction of America and the white race as this pathological and perverse cult-like religious doctrine prophesies will be led by a “black messiah.” It’s about him being in such a racist religious sect in the first place, which is outrageous and unacceptable for a president. The media, even the conservative media such as Fox News, has never fully explained Obama’s racist religion to the public and that is outrageous. If you have any doubt about this, you can buy the books by James H. Cone from Amazon and decide for yourself. Click the link below for dozens of quotes from Cone’s first two books. Because a person presents a disarming and pleasant public demeanor, does not necessarily mean that he harbors no racial animosity or bigotry for certain ethnic or social groups. David Duke and Georg Haider proved that racism can be hidden behind a pleasant demeanor. It is reasonable and you are perfectly entitled to assume that anyone, who belongs to such a racist sect for 20 years, understands the doctrine and is an adherent of it. Obama should be called to account for it, but he never was by the media or opposition politicians, who should have investigated this and explained it. It is still not too late for the public to insist that he be held responsible for it. His political agenda, seems to be very much in line with the racist version of “social justice” described in the doctrine of Black Liberation Theology, which holds that America is responsible for the oppression of non-white peoples and must, for that reason, be destroyed, in order to end oppression and to create a world Utopia. Obama should be openly challenged on these points. 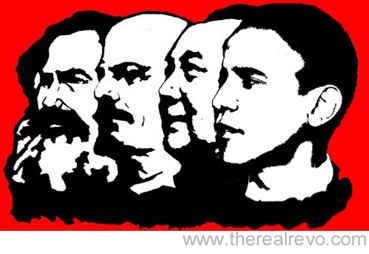 5 Responses to Why label Obama Marxist/Communist? (1.) Don’t know enough about Marxism to know better. (2.) Academia has indoctrinated them and the education ‘unions’ (Lenin’s accomplices) to not see the fallacy in Marxism. (3.) The Global Media has hidden the truth. (4.) Many churches and/or denomination have bought the lie of Marxism by only embracing the class warfare segment of Marxism. If the Devil himself could come up with a plan to enslave humanity, it would, most likely, be very much like Marxism. Racism and sedition are still understood by most people and have been taught as being unacceptable, at least in the case of racism. It is strange that we have been handed this silver bullet, so to speak, but most people don’t want to use it, even though Obama’s supporters call us all racist daily with no real justification at all. I think people have just been brainwashed to not defend themselves effectively. We’re being led passively to the slaughter. WHY OBAMA PICKED KAGAN ! Court, typed in ‘Obama-Kagan,’ and guess what? Yep you got it. Snopes lied. Everyone of those dockets are there. really slant things but this was really shocking. themselves to elect someone that really has no true right to even be there. She can still recuse herself on this decision. It remains to be seen, what documents come out of it, if they even hear it. I had heard this before, but did not have the links. So, glad to have the links. There have been a lot of questionable practices going on in DC for a long time. Obama is just blowing the doors off, compared to what others have done. There are also times when people see black as white and white as black. No one is as blind as he who will not see. A lot of people don’t want to see these days.